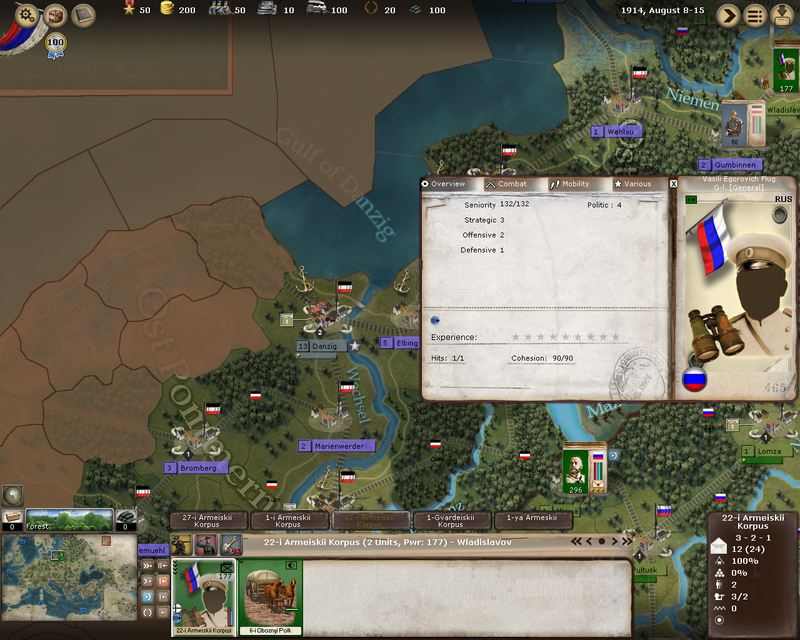 I tried to do this for russian general Flug (Unit_RUS_Flug) - East Prussia scenario, - but failed. Also I want to add biographies for the generals. For some leaders it's easy to do - I just added new lines into Leaders Bios section of LocalStrings_EAW, but for some leaders this method doesn't work. For example, general Dragomirov (Unit_RUS_Dragomirov). I need your help in these matters. Last edited by Bamak on Wed Dec 13, 2017 6:40 am, edited 2 times in total. Data of models (images included) is stored in a file name Models.cached (in the GameData/Models folder)... when you change something in models, like the picture, destroy this file...it will be recreated in your next run of the game and by then will take your latest changes, like pictures. This is how it works in CW2 for instance. This entry is absent, I believe it was not planned at all by the designer to have bios. You can add then yourself if you wish, just enter them at the end of the file. In addition, so generals, in the Models DB, have the entry ldr_txt_NoBio... which means it was a deliberate choice not to ever have one (e.g. fro Dragomirov). Thank you very much, your advice helped After editing model files and deleting Models.cached new portrait and bios appeared. 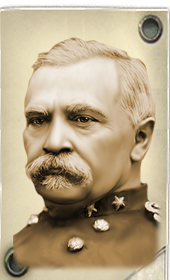 Re: How to add new portraits and biographies for generals? When I started to work with portraits, I have chosen one for example - William P. Duvall. 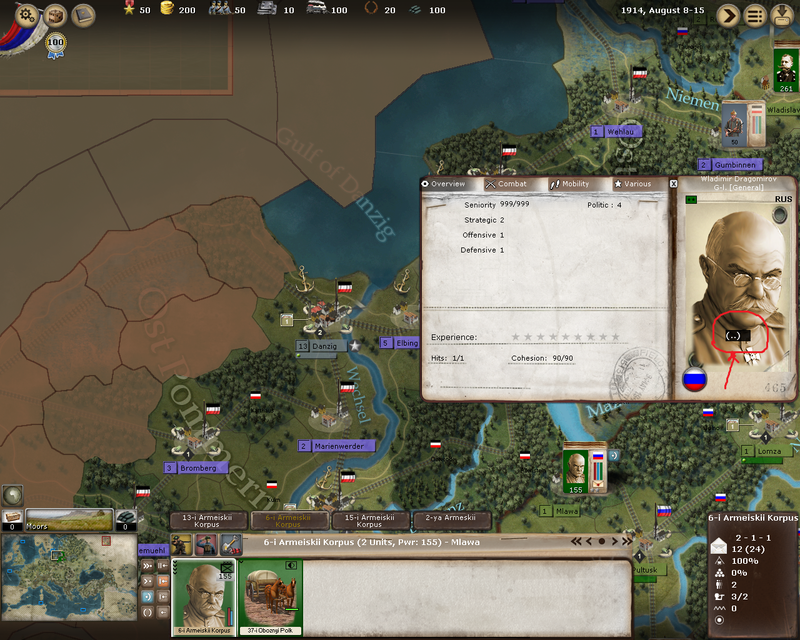 As very meticulous man (I checked and edited all bios in CW2 for the Russian version ), I wanted to find out, who this guy was. But it's not him in the picture above - it's Colonel August V. Kautz commanded the military department of Arizona with his brevet rank of Major General. And the general in the picture from my first post is not Vladimir Dragomirov - this is his brother, Abram Dragomirov. 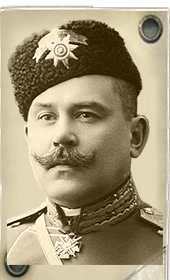 According to the russian wikipedia A. Dragomirov raised in the ranks through General of The Cavalry, one grade higher than his border V, Lieutenant General. So perhaps is more appropriate and also easier to edit the name of the commander and change V. to A. Regarding William P. Duvall, I do not know why he was included in the game. Not remarkable his curriculum in the Great War. I agree with you about Duvall. It's strange choice.